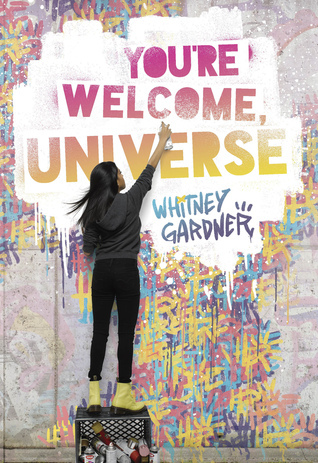 We are delighted to be able to chat with Whitney Gardner about her debut novel YOU'RE WELCOME, UNIVERSE. Whitney, how long or hard was your road to publication? How many books did you write before this one, and how many never got published? I remember starting this book by sending the first page to myself in an email. I was away from my computer and I needed to get it down as soon as possible. I went through my inbox and found that I started YOU'RE WELCOME, UNIVERSE in 2013. I had written two graphic novels prior, but neither ended up finding a home. Well, it all starts with coffee. I have a little office in my house, with a rainbow carpet and pet bed for my lazy pug. I do most of my work from there. But I can't write with music on; it's too distracting. I used to only be able to work in silence, but I've upgraded to nature sounds. I never thought I would be a writer. I always imagined myself on the illustration end of things. And when I started testing the writing waters, I wasn't good at it. But there's only one way to get better: keep writing. Get critique partners and listen to them. Read widely. Editing is your best friend. Don't quit. Whitney Gardner is an author, illustrator, and coffee addict. 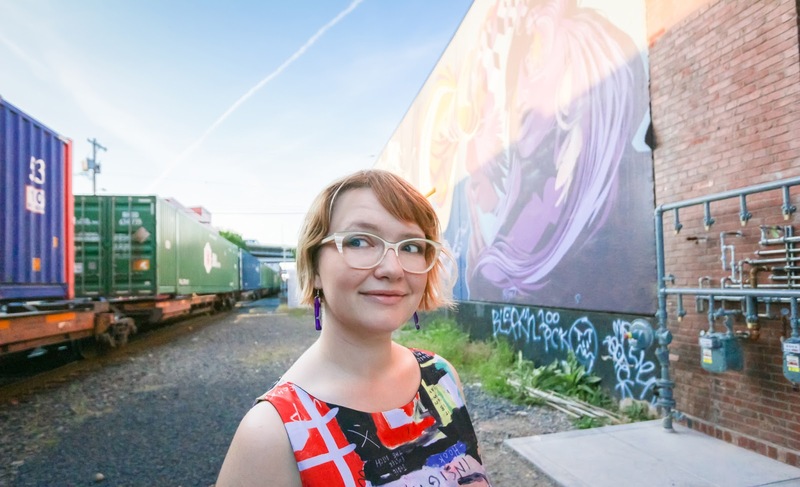 Originally from New York, she studied design and worked as an art teacher and school librarian before moving to Portland, Oregon, where she lives by a bridge with her husband and two pugs. In the rare moment Whitney isn’t writing or drawing, she’s likely to be reading comics, knitting, and tending her garden or apiary. YOU’RE WELCOME, UNIVERSE, her debut novel, has been selected as an American Booksellers Association Indies Introduce Pick. Visit her at heywhitney.com. Have you had a chance to read YOU'RE WELCOME, UNIVERSE yet? Are you new to thinking you'll be a writer? Take Whitney's advice and try it and get critiques, such as entering our 1st 5 Pages monthly workshops! Share your thoughts about the interview in the comments!